Developer: Techman Buildwell Pvt. Ltd.
About Techman Buildwell Pvt. Ltd. 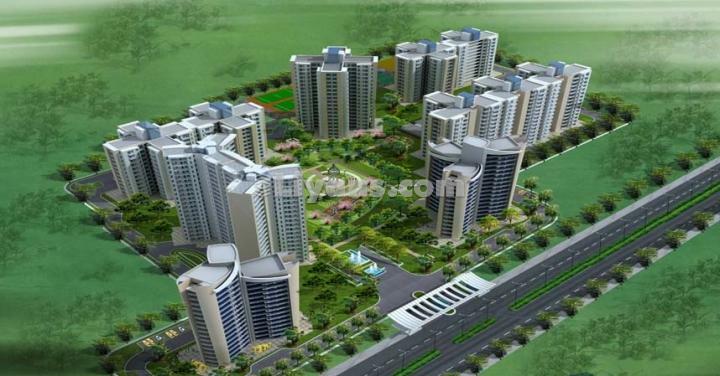 The Group now is not a new name in Real Estate and has to its credit a long list of Residential and Commercial projects executed in Mathura, Agra, Faridabad and Ghaziabad. The Group has already executed plotted residential development over approx 11,00,000 sq. mtrs. area, commercial of about 1,00,000 sq. mtrs. (approx) area and built-up housing of about 2,00,000 sq. ft. area in Mathura, Agra, Ghaziabad and Delhi. The Group focuses on quality housing and handsome appreciation to its investors and customers, with major thrust on quality, going to the extent of compromising on as thurtical aspects when it comes to choosing between quality and aesthetics. Another key area of emphasis is safety and commitment. Utmost care is taken to see that the property being developed is safe and secure and also every commitment made by the Group is fulfilled. The Management of the Group is a blend of youth and experience. Youth with full of energy, dynamic and modern concepts is always guided by the unparalleled experience. The founder and Chairman & Managing Director of the Group Mr. Vishwa Nath Agrawal is a Graduate in Civil Engineering from IIT Roorkee and a meritorious Post Graduate in Structural Engineering, again from IIT Roorkee He is great found of quality construction, Systematic working and due delivery of value for money to the investor / customer. Besides Real Estate the Group has also diversified in Hydro Power Projects and is coming up with Six Small Hydro Power Projects in Himachal Pradesh.